As the days get shorter and the weather gets colder, I’ve been spending a lot of time thinking about how to best take care of myself. I honestly have no idea whether or not Seasonal Affective Disorder impacts me, but as I get older I almost always contract a case of Weather-Related-Bailing-Disorder. Otherwise known as spinster hibernation. …Brian, my sweet hubby. I put him in the situation I’m facing, and think of what advice I’d give him. Say it’s 2pm, I have a few deadlines that I absolutely have to meet still to go, but I’m beat. There’s no gas left in the tank. If Brian told me this, I’d say, “take a 20-minute nap, and when you wake up I’ll make you some tea.” Voila, my action plan is born! So first of all I thought this was great advice and second of all I was mildly horrified. I want to be caring and compassionate as a partner, friend and caregiver but I don’t want to forget how to take care of myself first. And I think it’s important that you remember how to take care of yourself on a daily basis, when you’re in need and even when you just want a little treat. So I made some lists. Working drafts. 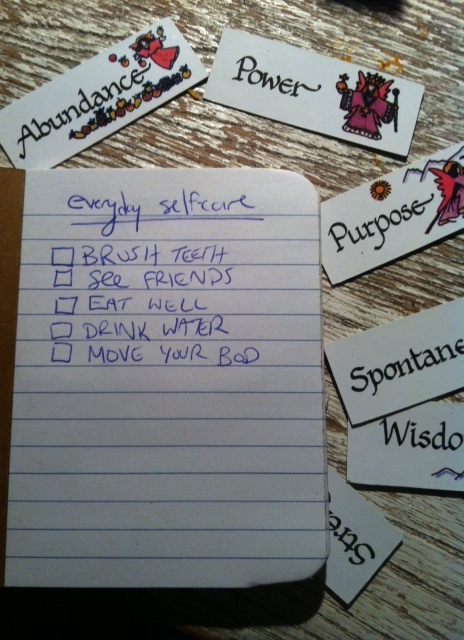 Of ways I’d like to take care of myself. The advice I am giving myself in advance. 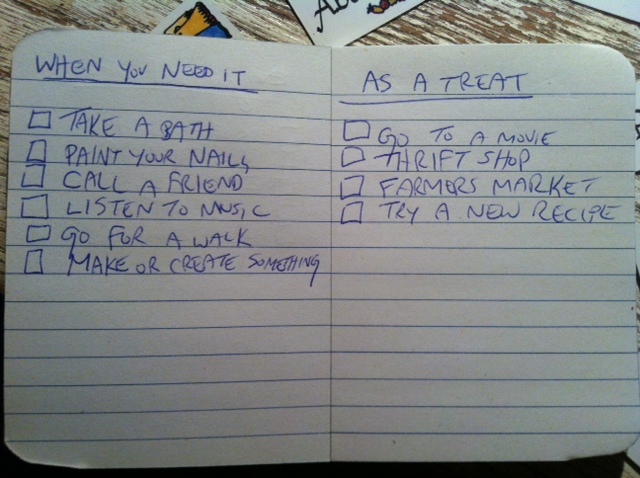 What would you put on your lists? 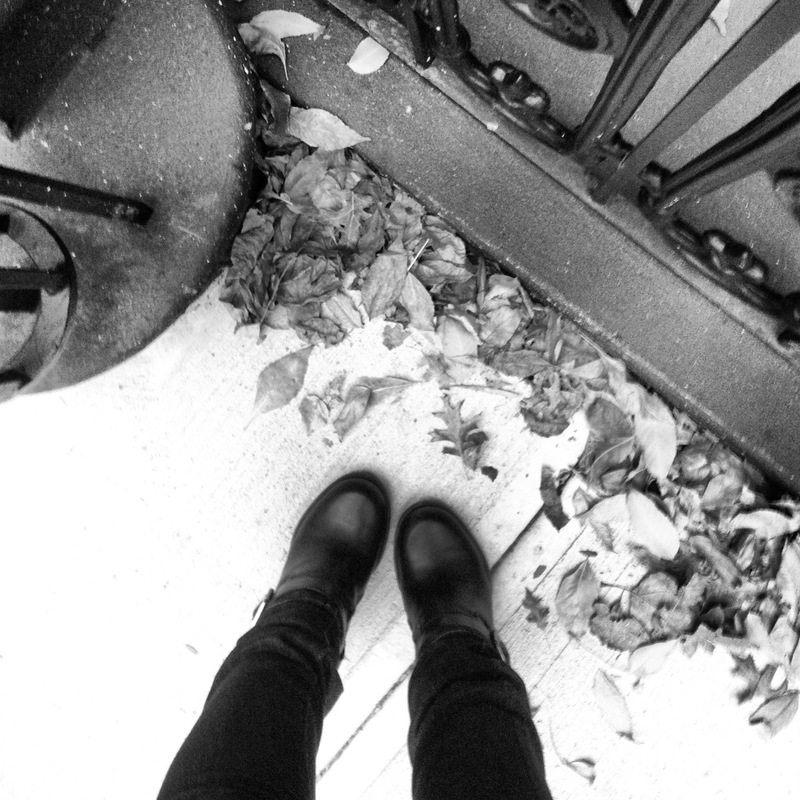 I’m already nostalgic for fall. I’ve always said October is the greatest (my birthday, pumpkin pie AND halloween all in one month? no competition!) and this year was no exception. So far I’ve traveled to rural Pennsylvania to catch my first college football game (y’all are crazy), spent some time in the wilderness hiking through the changing leaves and even flew to NYC for a weekend of art, food and moderate debauchery…more on that soon. Anyhow in honour of my tender feelings towards my very favourite month I thought I would post a recipe starring the official ingredient of autumn…PUMPKIN! This simple recipe is perfect to whip up on a Sunday afternoon and enjoy for lunches or quick dinners throughout week. Sautee onions, garlic and celery in olive oil on medium heat until just soft. Add ground turkey and cook until just brown, draining if necessary. Add in beans, pumpkin, spices and veggie broth. Bring to a boil then reduce to simmering. Simmer everything together for about 30 minutes or until the broth is thick.